Happy Friday, folks! 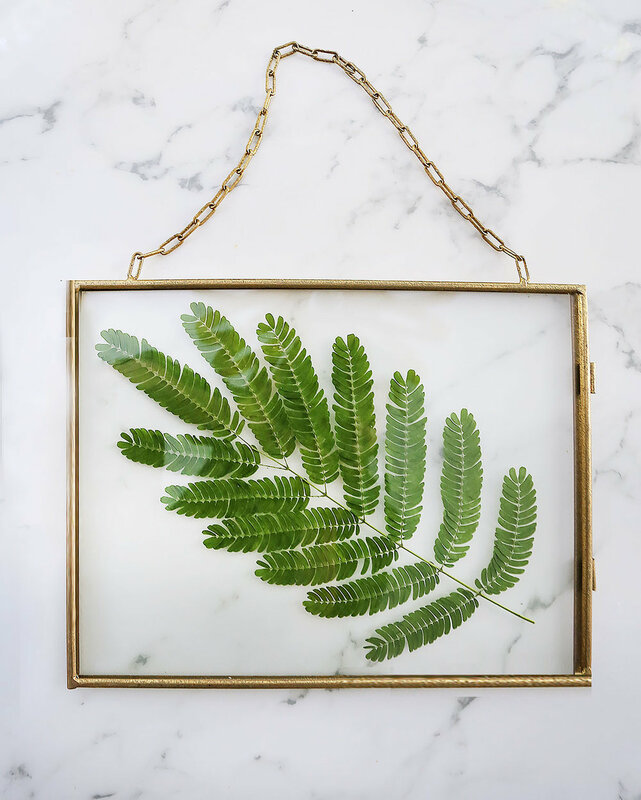 I’m dipping my toes into the world of DIY today with a ridiculously easy (and cheap) tutorial using yard clippings as art! I’m really into the botanical art trend these days and I wanted to try my hand at making something inspired by it. 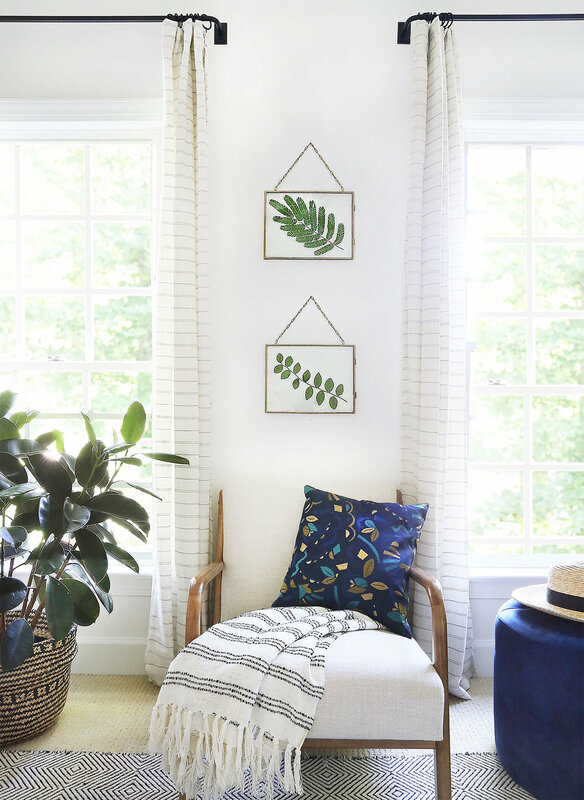 I call this a tutorial, but its honestly just a few simple and very practical steps to creating nature-inspired art in your home. First off, walk outside and find some cool yard clippings from a tree or shrub! I actually love doing this for adding greenery into my home as well. Its cheap (well, free actually) and brings beauty, character, texture, and good energy into every space. We all need a bit of that! The things you will need in addition to your greenery: some heavy books, wax paper and double sided tape. 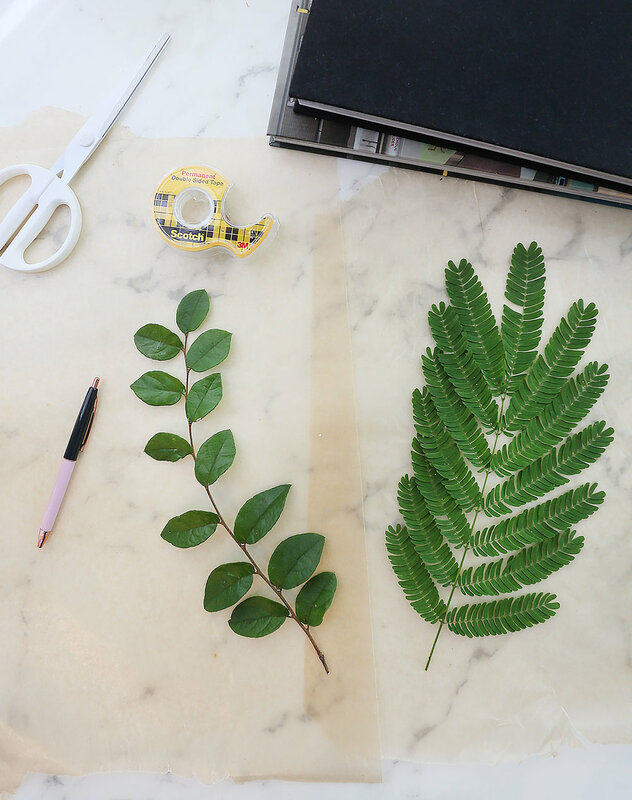 Place your clippings inside of two pieces of wax paper (to protect and absorb moisture) and then press with the books. Ideally, you will want to leave the plants pressed inside (or under) the books for a couple of days to a week, depending on your chosen foliage. I got a little antsy and only did mine for couple of days. I used double-sided tape to secure my plant to the glass. In hindsight, I’m wondering if there was something I could have put on to preserve the green color, but I wanted to experiment and try this out so if it browns too much for my taste, I’ll re-think that for the future! I found these inexpensive vintage-inspired brass floating frames from Michaels and they work nicely for the look I was going for. I could see other frame styles working as well if you wanted a more modern look. And that is it! Frame and enjoy! I told you it was easy. I might experiment with a bigger plant and frame in the future or maybe even..dare I say faux plants! What do you guys think? This was easy and could be done in about an hour once you press the plants. I made a little infographic tutorial in case you want to try it out this weekend!